This weekend my friend Sine was here from to visit from Copenhagen, and we went to another friend’s for dinner. I brought dessert, and Sine brought wine, while Paola made the best parmigiana di melanzane I have ever eaten. She doesn’t follow a recipe, but I am determined to have her explain to me exactly how she makes it. 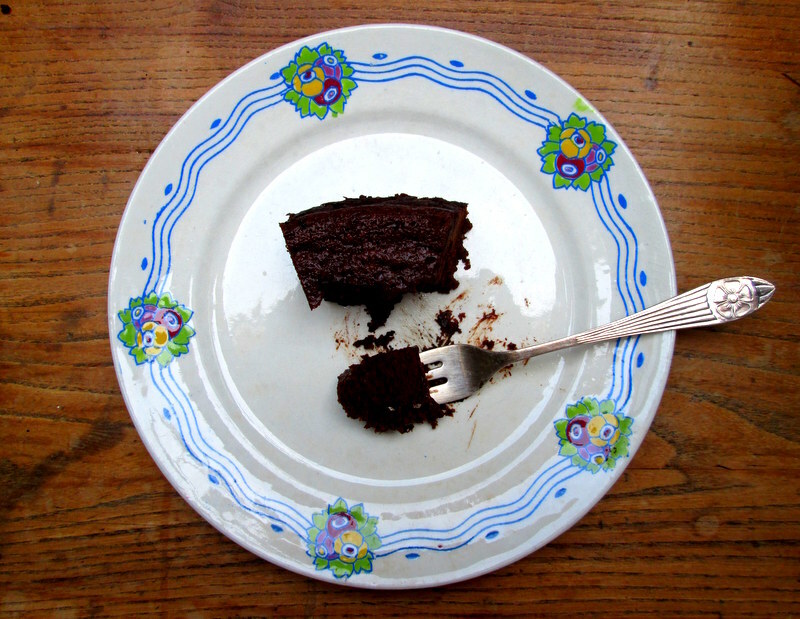 As the host had requested something chocolatey for dessert, I went to my go-to ‘takes no time to make/bake, but tastes like you spent aeons making it’-cake. 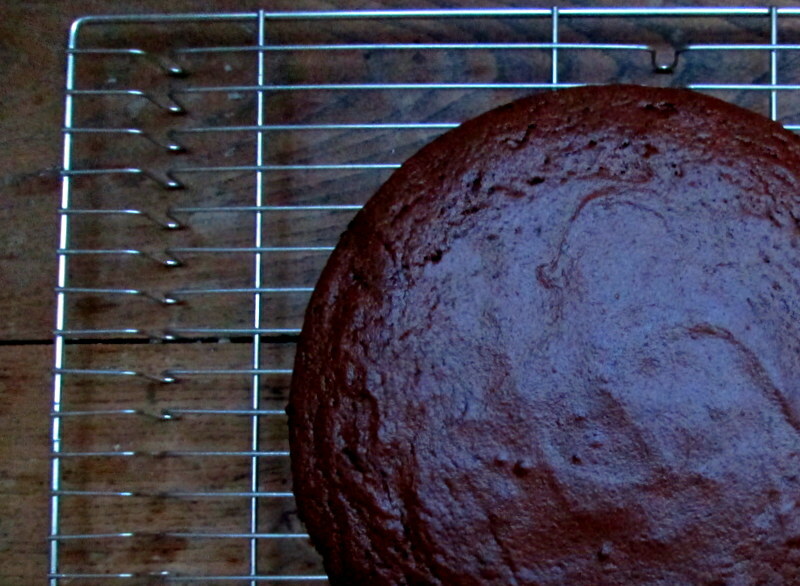 This is an extremely easy cake to make, and it’s reeeally good too. It’s got just the right amount of dark chocolate, is very light and airy and sort of sophisticated, and just melts in your mouth. And it’s got no flour in it, so it’s also perfect for those with a gluten intolerance! 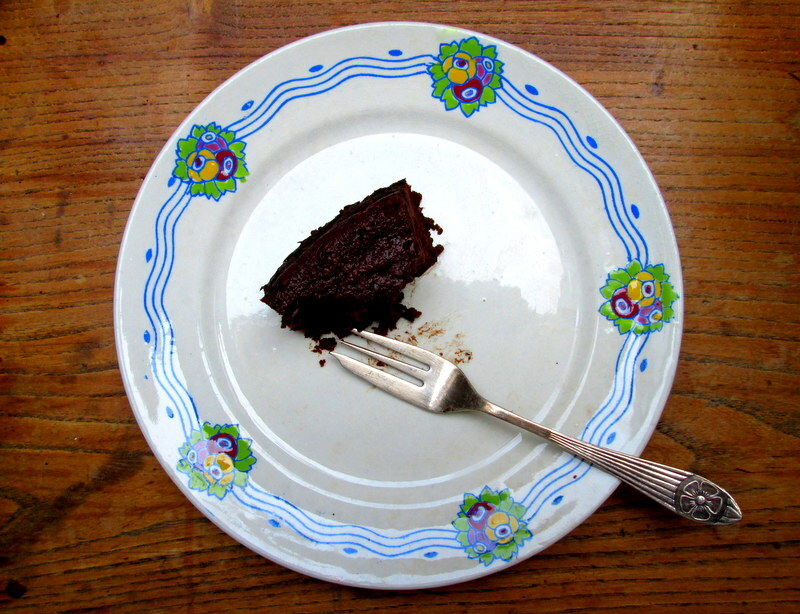 It’s based on David Lebovitz’ recipe for Racines Cake, from his book Ready for Dessert. His recipes never, ever fail me. Since I’m not a huge fan of coffee in chocolate cakes I add milk instead (water would work too). I think this would taste really good drizzled with a tangy blackberry sauce, or with dark chocolate sauce, or served with a scoop of vanilla icecream… but it doesn’t necessarilly require an accompaniment, and I served it plain with just a bit of icing sugar on top. Preheat your oven to 175°C / 350°F. 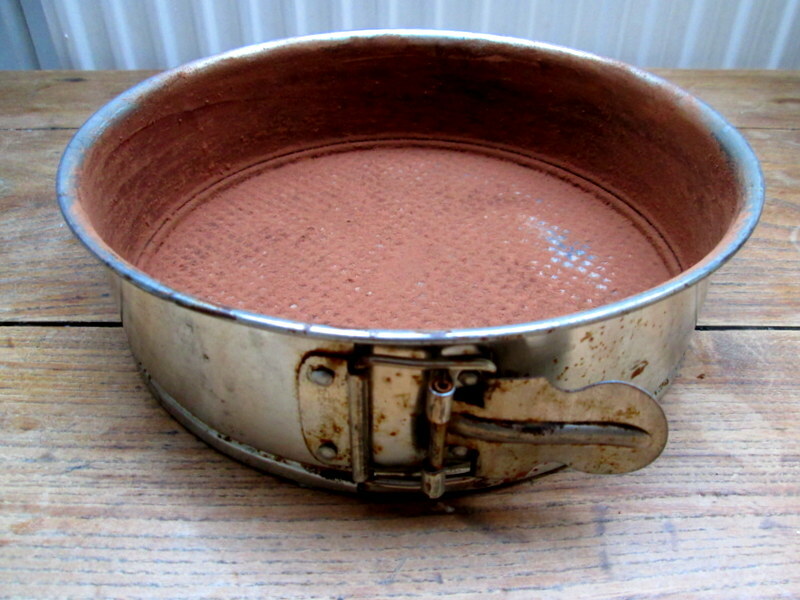 Butter a springform pan and dust it with cocoa powder. 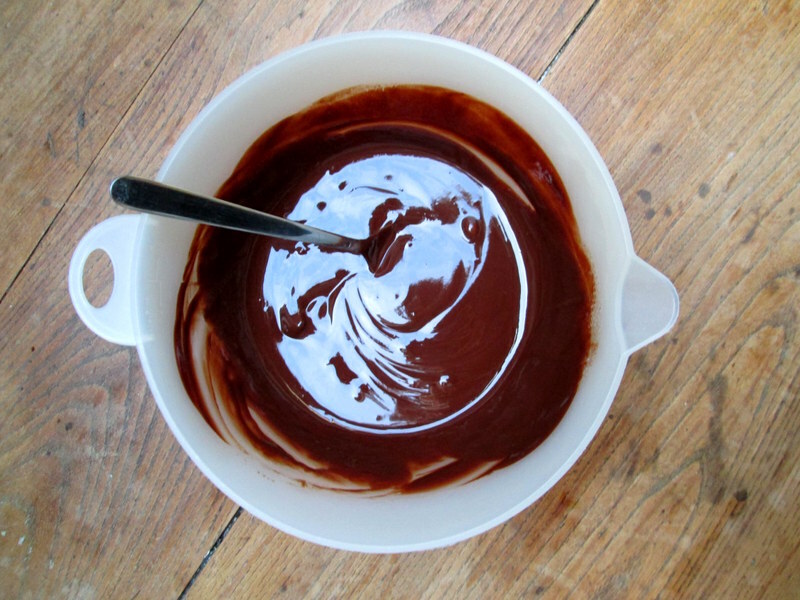 Break the chocolate into chunks, then put it in a large bowl along with the butter. Either melt the lot over a bain marie/double boiler, or microwave it for about a minute or two, stirring until all the chocolate chunks have melted into the butter. Add the tablespoon of milk and the vanilla. 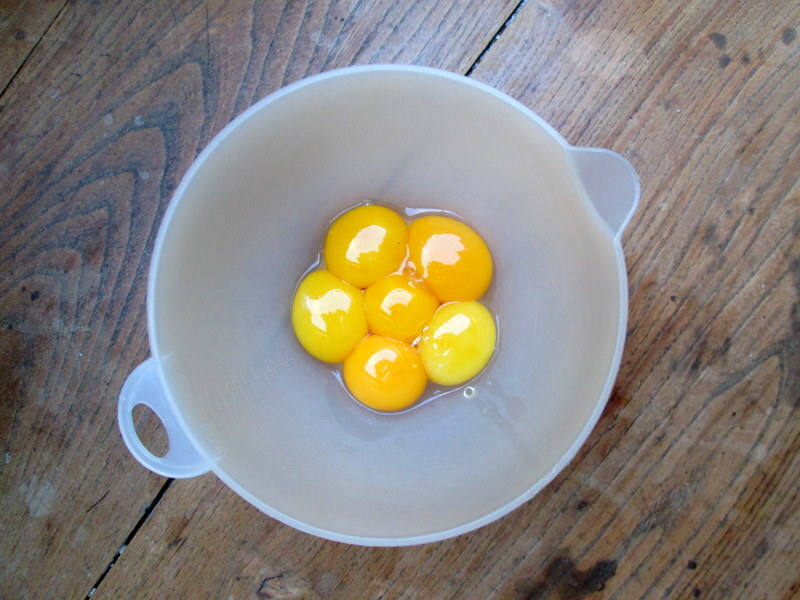 Separate your egg whites and yolks, and whisk the egg yolks and the 50 g of sugar together with an electric whisk for about a minute or so, until light and pale yellow. 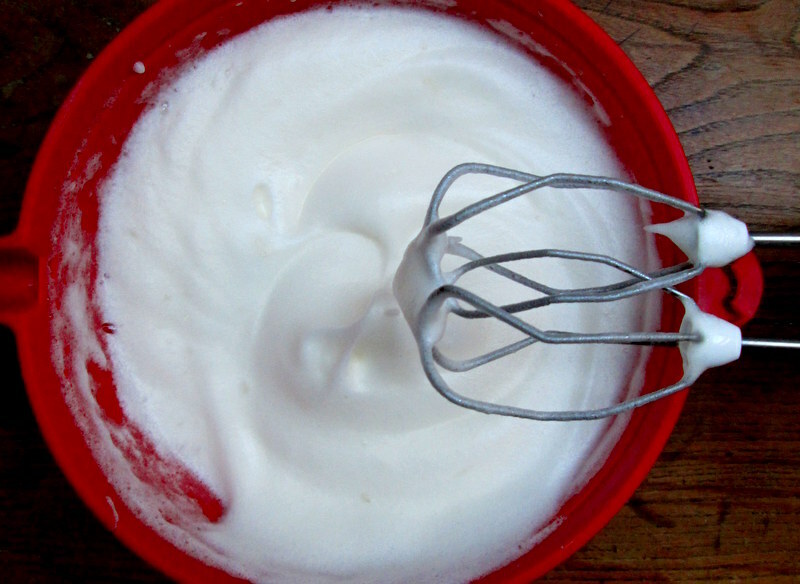 Whisk the egg whites (with a clean whisk) for a few minutes until they begin to firm up, then add the two tablespoons of sugar and continue whisking until the whites hold soft peaks. 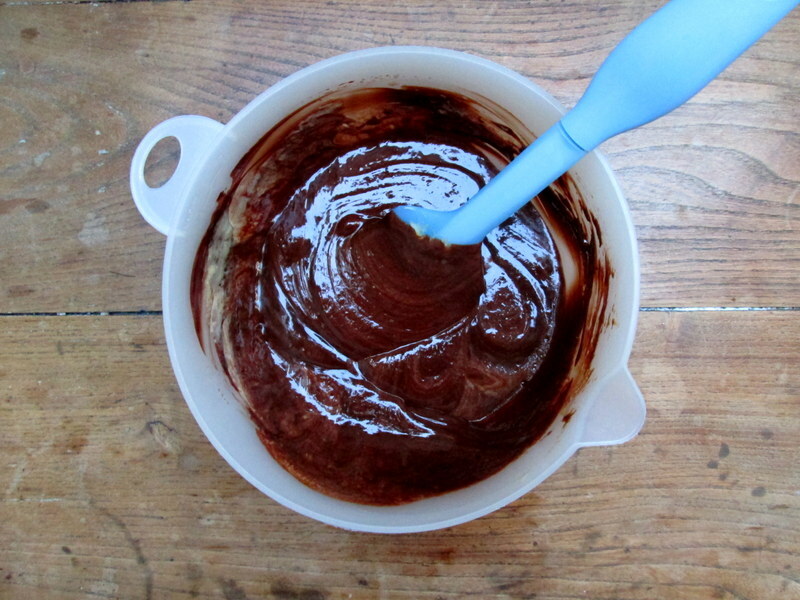 Add the egg yolks to the melted chocolate mixture, folding them in with a silicone spatula. 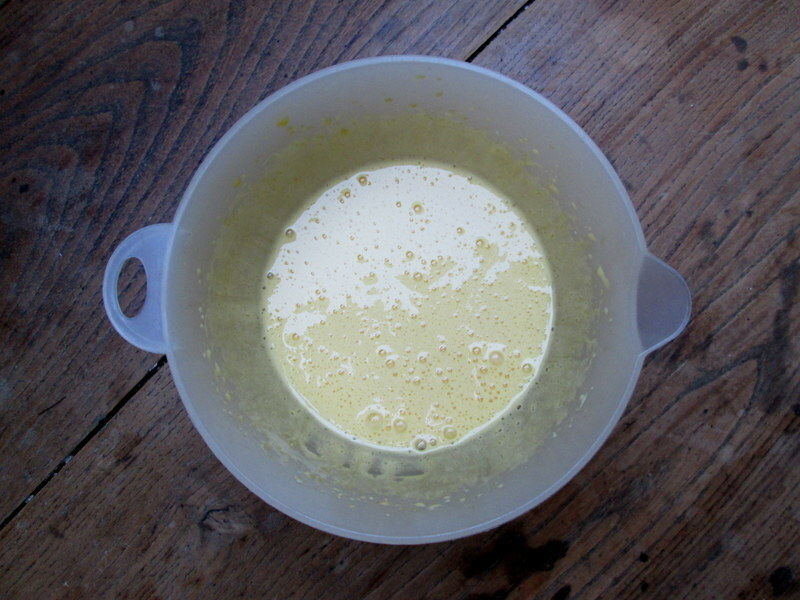 Fold in half of the egg whites at a time, mixing just until you can no longer see any streaks of white. 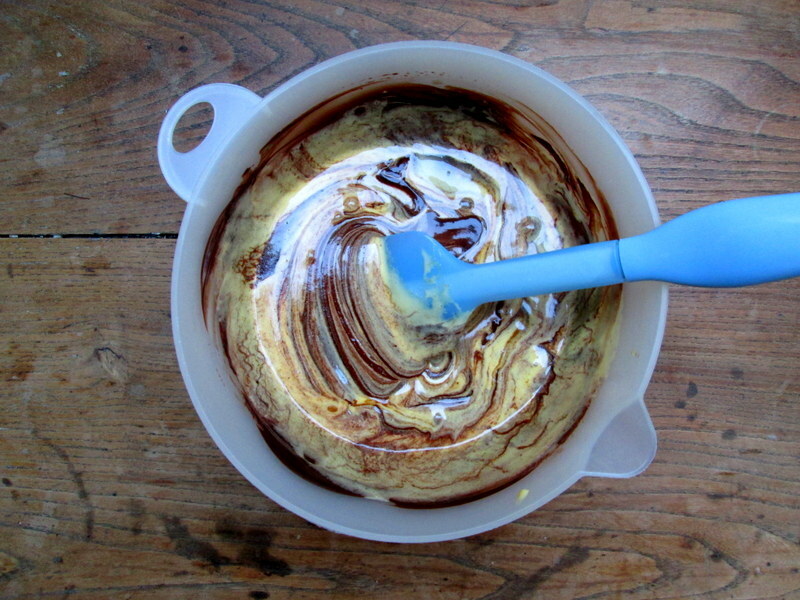 Make sure you fold from the bottom of the bowl so that the batter is evenly mixed, but not over-mixed. Scrape into your pan and even out a bit, then bake for 20-25 minutes, depending on how hot your oven runs; mine runs pretty hot, so I baked the cake for just 20 minutes. 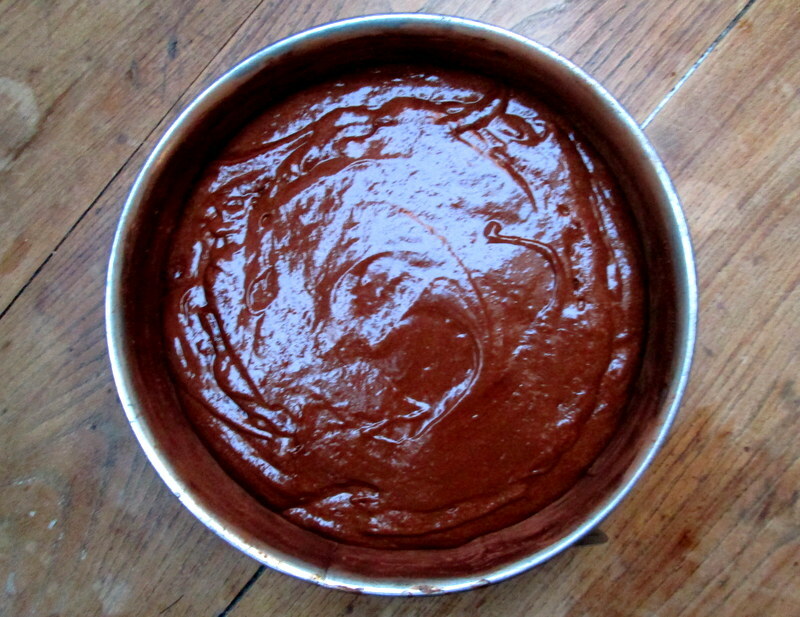 Bake until the cake has only just set in the middle; it should still wobble when you press down on it lightly. 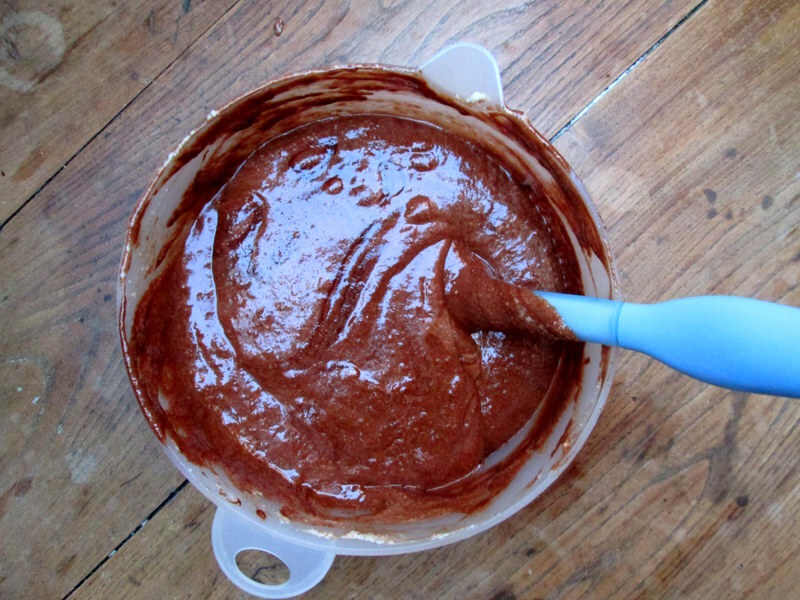 Don’t over-bake it, as the cake will get dry and lose its chocolate mousse consistency. Leave to cool completely before running a knife around the edge of the cake and unmolding it from the tin (I didn’t have time, and so my cake sank a bit more than it would have otherwise in the middle… but I got home late and didn’t have more than 15 minutes for it to cool before having to just grab it, put it on a serving plate, and hope that it wouldn’t completely flatten before I got to my destination). 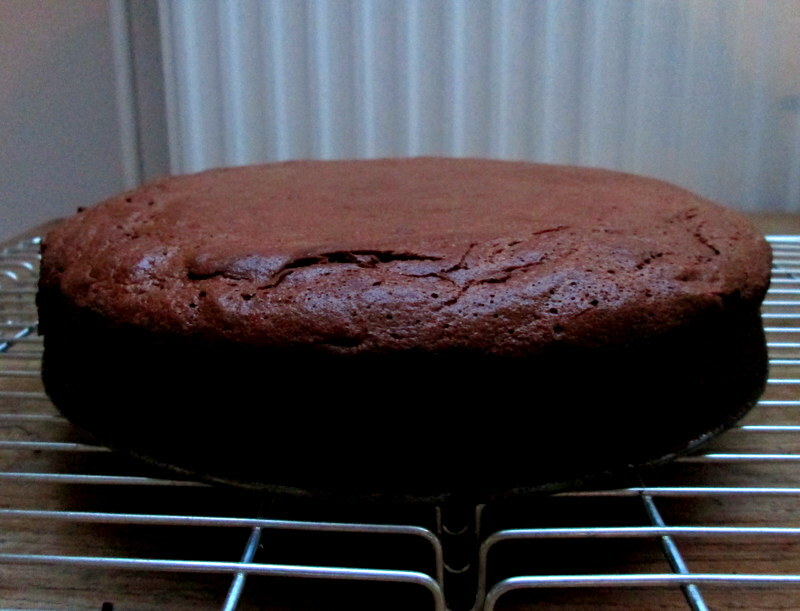 If left alone to cool, the cake will sink a little all over, and firm up to an easy slicing consistency. It’s good the next day too, if kept under a cake dome, but best on the day it’s made.